If you’re renting space from the Austin Technology Incubator (ATI), you’ll be provided with office furniture, office supplies, copiers, conference rooms, Wi-Fi, and other necessary office tools. If you’re graduating from ATI, or you’re looking for office space on your own, you’ll need to obtain office furniture as well as office supplies. When exiting ATI, companies are referred to the “Trusted Partners” list for recommended office furniture and office supply companies. However, you may want to explore multiple options and compare prices. If you decide not to use a provider on ATI’s Trusted Partners list, the obvious choice is to go with one of the major office supply retailers. 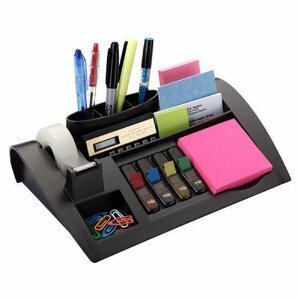 Many of the top retailers of office supplies (e.g. Staples, OfficeMax, Office Depot) offers savings/rewards cards which give you percentage discounts or points toward free supplies for large expenditures at these stores.